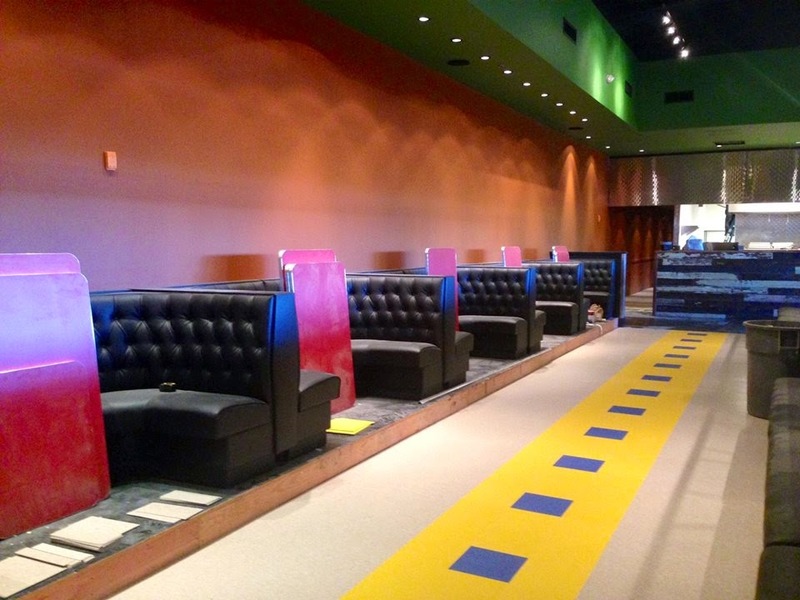 Two "new" restaurants to open in "two weeks." "Angry Chef" Ron Eyester is reportedly close to re-opening his failed pizza joint in Morningside. After opening in late July of last year, Timone's never caught on with the neighborhood and struggled basically from the start. Eyester, of course, already operates Rosebud and The Family Dog in the area, so perhaps he thought he could throw open the doors and the overflow would find their way to Timone's. When Timone's opened last year, it replaced short-lived waffle eatery Waffold, which itself had replaced short-lived burger joint Burger Tap. (J.P. Kim, once of Yoforia, was responsible for both the waffle and burger concepts.) Caramba Cafe was the most popular occupant of the space, and they relocated to the Pencil Factory Lofts in 2010 after operating in Morningside since 1988. 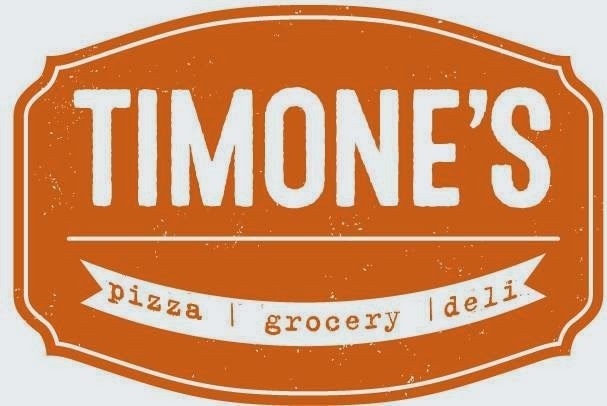 On September 29th, the official Timone's facebook page announced, "Timone's is going to be closed for the next couple of weeks to remodel and launch a new and exciting component to our current offerings. Check back for updates!" Almost two months later, on November 25th, came an update to the "couple week remodel" "Things are getting close here! Once we get passed Rosebud's #TurkeyDay extravaganza, we'll be focussed on getting Timone's back up and running. Our new hours are going to be 7AM - 9PM Monday thru Saturday. Check out a draft of our new menu. Stayed tuned for the breakfast menu!" According to a restaurant employee I spoke with earlier this week, both restaurants will open in "a couple weeks" pending each receiving their Certificate of Occupancy. Timone's now sports a logo and branding message. Formerly "local pizza joint" and now "pizza, grocery, deli." Top Chef viewers may recall that Chef Eyester was eliminated in week three of Season 12 in late October, making him one of the worst performing Atlanta-based chefs in the show's history. Sources indicate that it was his absence from Atlanta for the shows' taping that led to the seemingly endless delays at both restaurants. Obviously, this can only be partly true, as Diner was first announced last spring with a planned opening last December! If you've read this blog for more than a year, you know I don't think much of Chef Eyester. As far as I'm concerned, the food offered at his restaurants is only mediocre, while their locations make them popular. Additionally, Eyester's personality seems better suited for an industry other than hospitality. At the end of the day, Timone's should never have opened and Diner should have been named something, almost anything, else. I'd bet the menu changes at Timone's are successful but that Diner proves too large and generic to achieve long term success. FWIW I agree completely with your assessment of Eyester and his restaurants. I know we don't always agree and recall you taking me to task on posts in the past, good to hear we can agree on this. Thanks for your continued comments and readership. one doesn't have to have a history reading your blog to pick up on your feelings about ron eyester. as a morningside resident, I can tell you that timones has been missed. the food is excellent and the service is friendly--exactly what my neighbors want in a pizza place. our neighborhood is full of families, but has very few family dining options. the addition of the deli and grocery will be welcomed by the neighborhood. I think "Diner" is actually a very clever name for a new Atlanta restaurant inspired by the diners Ron Eyester was around while growing up in New York. It's simple and universal and lets everyone know immediately what the restaurant is. This should be of utility in a place such as Atlantic Station where most visitors are probably not there specifically to go to a specific restaurant. So "Diner" should appeal to those who are going to Atlantic Station specifically to go to a local chef-driven restaurant, as well as the even greater amount of people who just find themselves at Atlantic Station for whatever reason. A great diner need not necessarily have great food; it need only have a large variety of good food with good service. I'm greatly looking forward to it and I know many others are as well. I think it has the potential, if executed correctly, to kill at Atlantic Station. I don't agree with your assessment of Eyester at all, actually. I think he's terrific fun and serves pretty good food in his restaurants. I like Timone's a whole lot and am looking forward to trying Diner. I agree totally. I laughed when Ron Cried, after being booted from TC, without one successful dish! He is a prick that gets too drunk at his own bar, often passed out in front of rosebud on Sunday, before the sun goes down.